I've always loved watches. I grew up wearing a Casio. I remember being in bed pressing the "LIGHT" button on it thinking it was so cool that I could read the time and set an alarm in the dark. My calculator watch was something special, though. As nerdy as it was, I showed it off to anyone who would see it. As I grew up, I still liked watches if they matched my style. To me, they were always just an accessory. It wasn't until my father passed away that I realized how much more a watch could be. 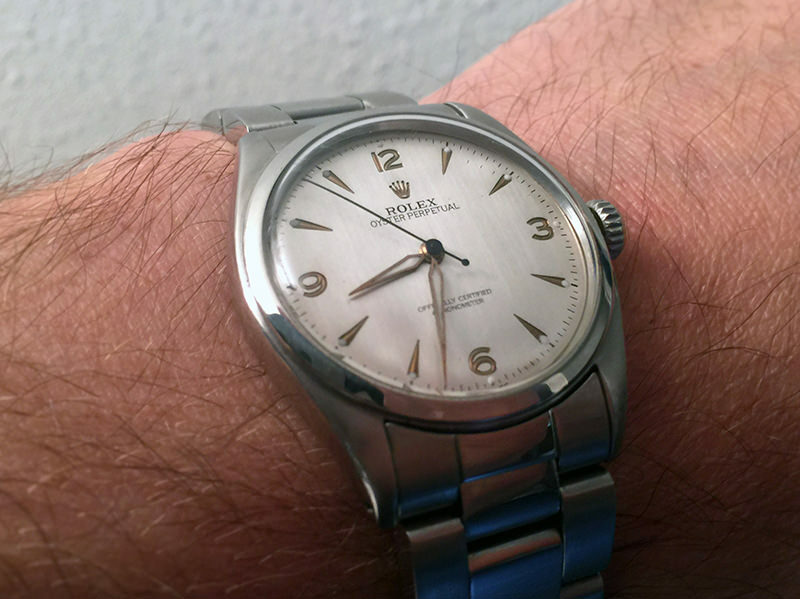 I was lucky enough to get my dad's 1953 vintage Rolex. It was a pivotal moment for me. I lost such an important person, but I was left with something so special. A watch can be an accessory to your wardrobe and at the same time be so much more. I started Watch Gang to help mixup your style and also to provide you with something I hope you'll love for years to come and something that lets you bond with new friends. I added the Rolex giveaway to this business because I want to give someone more than a watch. I want to know that they opened our box in shock when they saw that iconic Rolex crown. A symbol of something they'll have for a lifetime and pass down to a person they care about very much.